Keo Karpin - massage oil for body oil sandalwood acts as a natural sedative that reduces anxiety, headache, muscle spasms and also contribute to a more robust and healthy sleep. The oil penetrates deep into the skin, nourishing it, heals cracks in hands and feet, prevents the appearance of stretch marks and wrinkles. 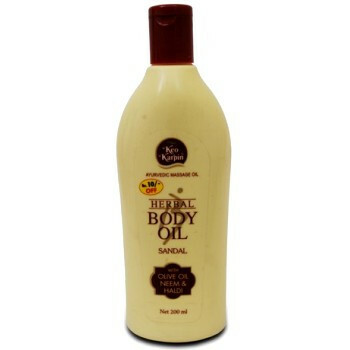 Massage oil Keo Karpin Sandal is an ideal product for massage and help to preserve youth of your skin. Content: extracts of Indian herbs Daruharidra, Aaron beach Villa, Manjistha, Arjuna. The oil base contains Camphor, Lanolin, Olivkovoe oil, neem oil, Peanut oil, Light liquid paraffin, essential oil Sandalwood, preservative Hydroxyanisol, Butylate (0,02%), permitted natural colorant. Application: apply a small amount of oil on hands and massage movements to distribute on the body. 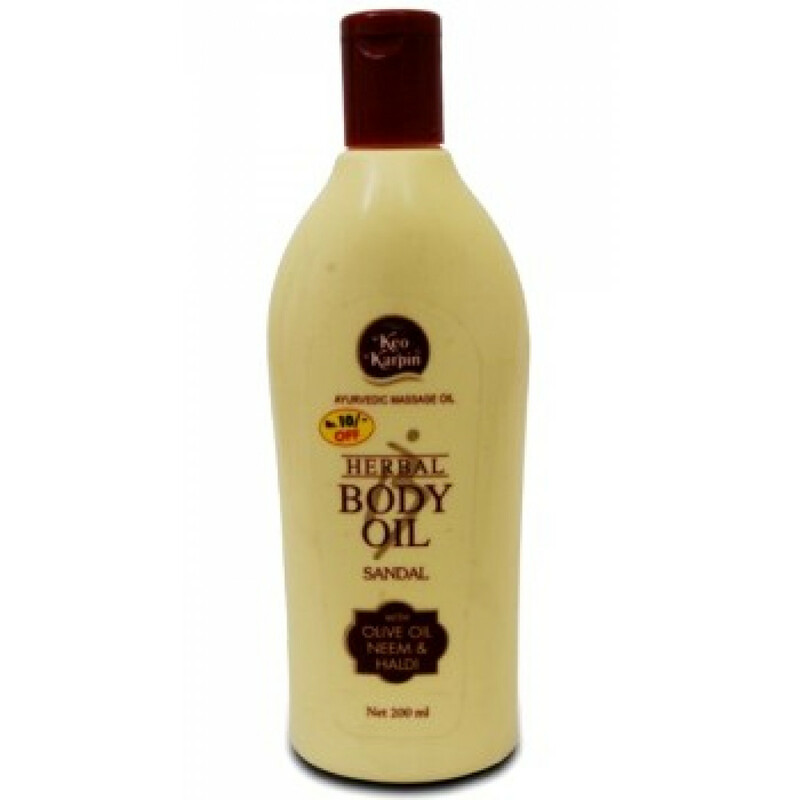 Original name: Body oil Sandal, 200 ml Keo Karpin - Baidyanath. In our store You can buy authentic Oil massage with sandalwood Keo Karpin, 200 ml Keo Karpin at the best price!